"Wala, hindi na tayo puwede sa sikat, kasi magulo," says PBA star James Yap explaining why he doesn’t want to be involved with a celebrity again. 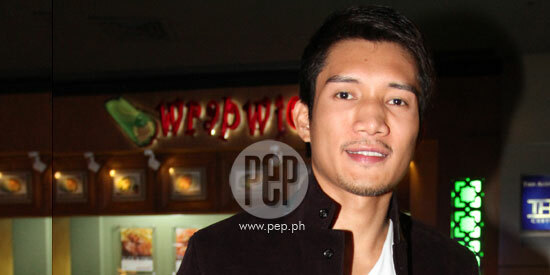 Is James Yap not interested to get involved with a showbiz personality anymore? In a recent interview with Spin.ph, the PBA star was asked if he’s dating another showbiz personality. The former husband of TV host-actress Kris Aquino replied, “Wala, hindi na tayo puwede sa sikat, kasi magulo. The two celebrities got married on July 10, 2005. Kris, on the other hand, filed for the nullity of their marriage on August 9, 2010. James has a son with Kris—James Yap, Jr., or popularly known to showbiz as Bimby. After their relationship, James was linked to Kapuso actress Isabel Oli. Meanwhile, James told Spin.ph that he is currently enjoying his life as a bachelor. As for his lovelife, the two-time PBA MVP laughed, “Wala pa naman exactly nagpapatibok ng puso ko... basta."